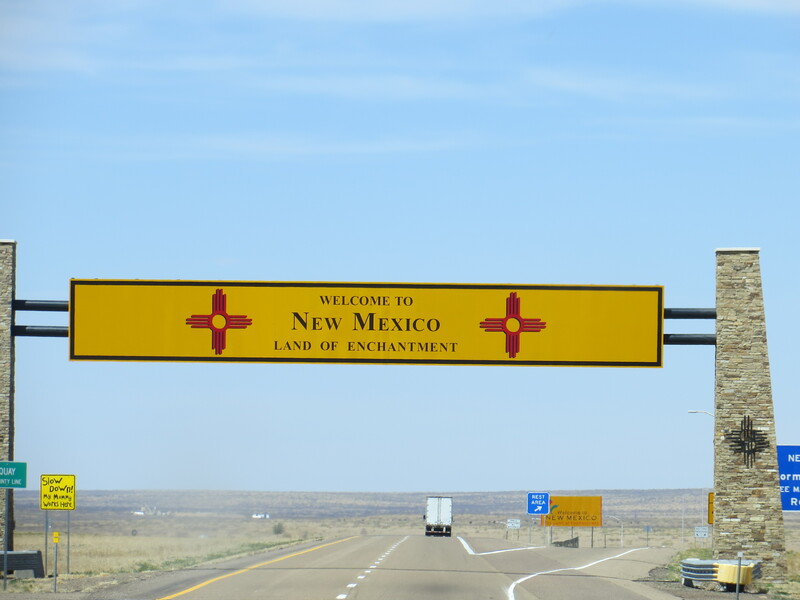 After Palo Dura we headed for I-40 and into New Mexico where we again encountered strong cross winds and head winds. 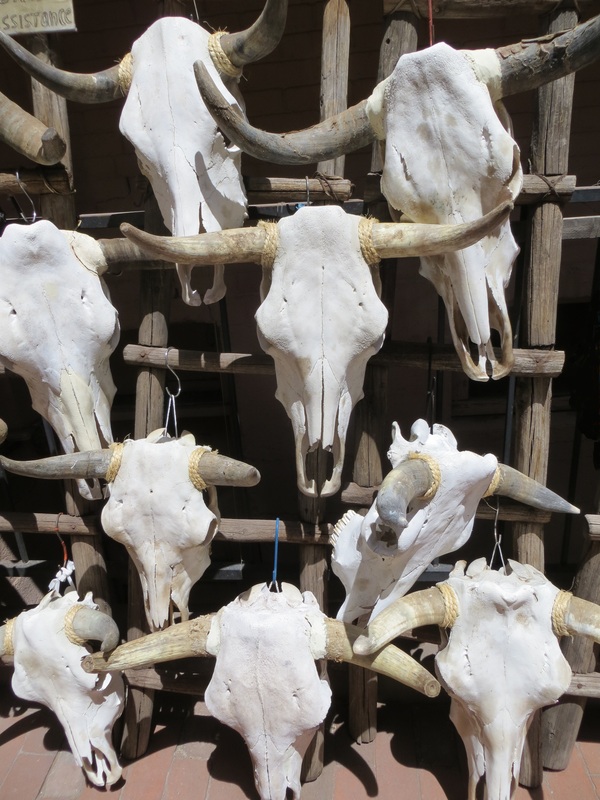 Dust devils, tumbleweeds and occassional roadkill were the only things we saw. Boy, there is nothing out there, not even the huge ranches that we saw in Texas. We’re now in Santa Fe, a wonderful town that we’ve both heard so much about. After 6 days of driving it was definately time to head into town and try out one of the great restaurants that Santa Fe is known for. Our research led us to the La Plazuela restaurant at the historic La Fonda Hotel, where we had the most amazing southwestern cuisine, guacamole made at the tableside and margaritas. It was outstanding and definately worth the wait. After dinner we talked with the concierge about the upcoming weather situation and decided to scrap our plans to go to Taos tomorrow. We are at 7200 ft elevation here and the weather forecast is for a low of 30 F down here. Taos is much higher and will probably get snow, so we have decided to stay another night and sightsee here in Santa Fe. This morning we headed back into town for a walking tour of the historic area with a wonderful guide named Kay Lewis, whom we heard about from the concierge at the La Fonda Hotel. 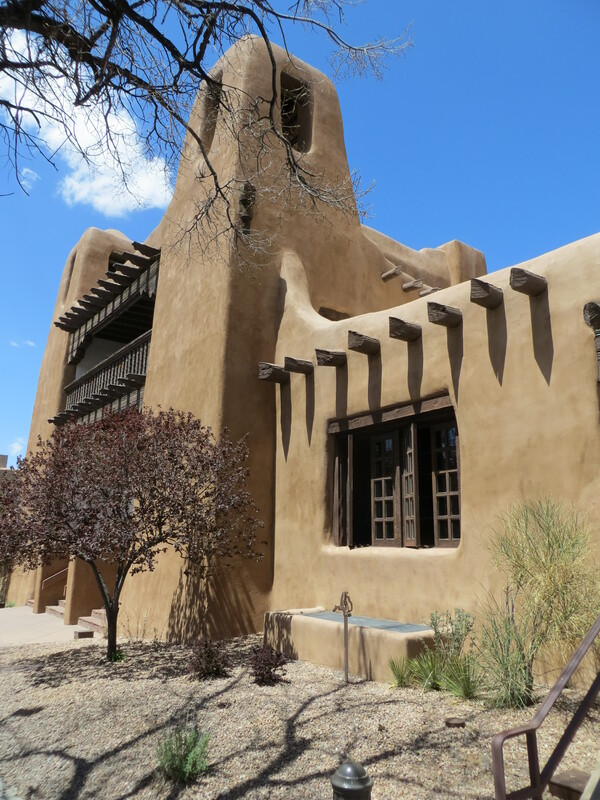 She’s an extremely knowledgeable history buff and we had a condensed version of the 400 years of Santa Fe history. After lunch we toured the Georgia O’Keefe Museum before heading back to our campground. The weather has been beautiful these last two days, but everyone is talking about the pending cold front and as we were walking around with clear blue skies, we’re wondering if it is really going to happen. But now as the evening progresses the wind has picked up and the temperature has dropped 20 degrees in the last few hours. Brrrrr, I wonder what it will be like in the morning. New Mexico really knows how to welcome. And welcome to the desert southwest – few trees and big temperature swings. 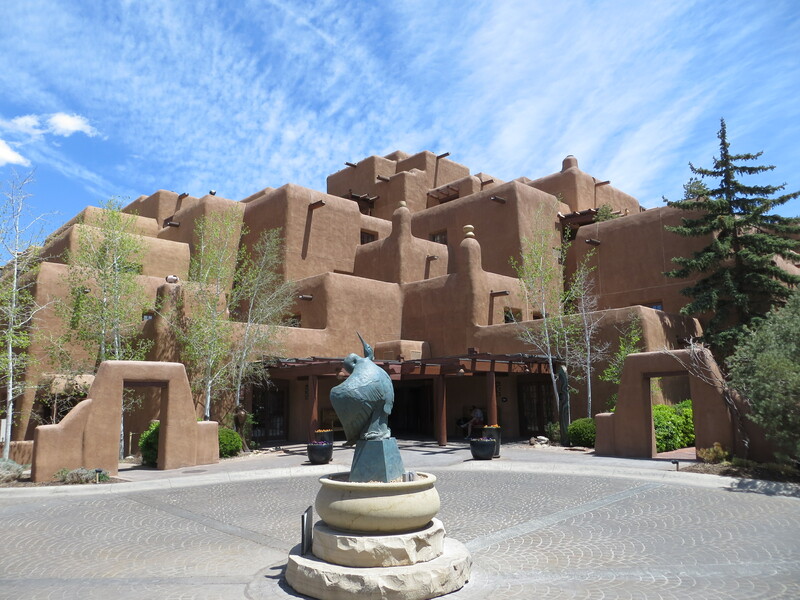 Your images of Santa Fe give it a mythical feel. 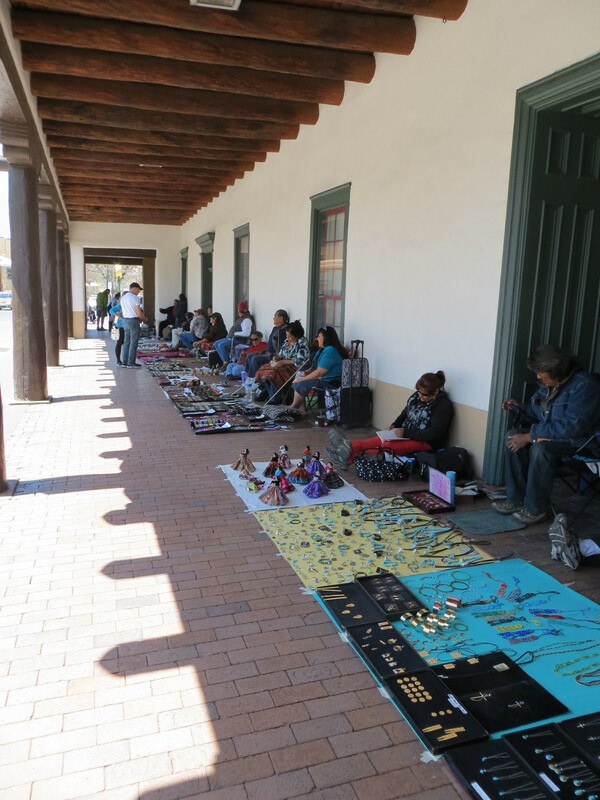 We really enjoyed the jewelry market when we visited my cousin June in Santa Fe a couple of years ago. Glad y’all made it up to Taos. We’re still working on a big bag of NM chili power we bought at a roadside stand on the way back down to Santa Fe. A huge cold front came through and we had to change our plans about going to Taos. It got down to 28F at night in Santa Fe and was much colder up in Taos, with the possibility of snow. It might have been difficult to find a campground. Oh well, now we have an excuse for returning.